moxie made: how to organize + back up your images! how to organize + back up your images! Before you begin: This is a wordy post. Sheesh. Apparently I decided to use twelve words every time four would do. But, if you are looking for a way to organize your pictures, this is my tried and true method! I take lots and lots of pictures. I'm not talking about just professional pictures but our personal pictures. Pictures of our family and our day-to-day life. I have finally figured out my way of organizing them. And I'm excited to share it with you! I feel like lots of my friends and family have the same problem. They take lots of pictures. With their camera and their phone. They never print any of them. And they are always saving them here and there. In different folders and on different computers. I struggled with this forever. And I would get so frustrated when I couldn't find the picture I was looking for! Once I had finally had it with my completely unorganized lack-of-a-system, I started researching. I spent months worrying over this because I wanted to find a plan that worked, consistently. One that would work for years to come. I spent months (this is not an exaggeration!) researching and figuring out what was going to work best for me in the long run. And now I am here, after using this same system for over a year, I still swear by it! So, I figured, why not share it with you! One of the problems I found was that I was saving pictures on my desktop computer and my laptop. I was frustrated because I would have multiple copies of some (okay, lots of) pictures or I would sit down to write a blog post or edit pictures and realize that the pictures were actually saved on my other computer. Super frustrating when you're all set up and you've got to switch computers. Or when you're not at home and the pictures you thought were on your laptop are actually on your desktop. The other problem? That my blood pressure shot through the roof every time I thought about my computer potentially crashing. I'm talking sweaty palms, knot-in-my-stomach kind of reaction. I actually lost every picture from college. My laptop crashed my senior year. I never backed up my computer. The only pictures I have are the ones I had uploaded to Facebook and Shutterfly. Which means I don't even actually have the files. I just know that I can go back and look at memories there. So, that led me to two pieces of equipment. 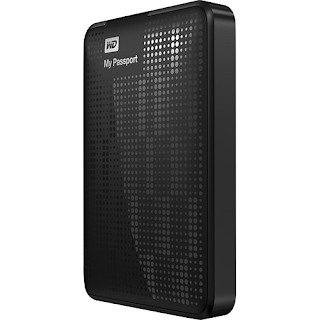 An external hard drive and a portable external hard drive. Well the first external hard drive I bought is big. It sits on my desk and it must be plugged in to an outlet to use it. I use it solely as a back up. I back up all of my pictures there. I try to do it once a month. I bought one that is 500 GB and spent $100ish on it. I can't remember exactly since it's been a few years. Now there are 2-3 TB hard drives out there. I am planning to probably stick with 500 GB. Definitely nothing bigger than 1 TB. Only because IF by chance that hard drive dies I don't want one that's so big that it's got twenty years worth of pictures on it. 500 gb is going to save several years as it is. My plans is that as I fill each one up, I label it with the years of the pictures (i.e. 2008 - 2015) and then place it in our fireproof safe. Then, I'll start filling another one! The other hard drive is portable. It has proven to be extremely useful in keeping all of my pictures in one place. Regardless of which computer I am on, I can just pop it into a USB port and BAM - full access. This way, I never have to worry about which computer I am using. It is essentially a glorified flash drive. It's much bigger in terms of how many pictures it can hold (I bought the 500 GB) but size-wise it's much smaller in comparison to the big external hard drive. It also doesn't require power. So you don't have to plug this one into the wall, just to your computer. You typically pay a little more for the portability but it's definitely worth it in my book. It's about the size of a CD case (except it's rectangular) and it comes with a little padded case to protect it when you throw it in your bag along with your laptop. It has also been helpful in freeing up a ton of space on my computers which means they run faster! 1. 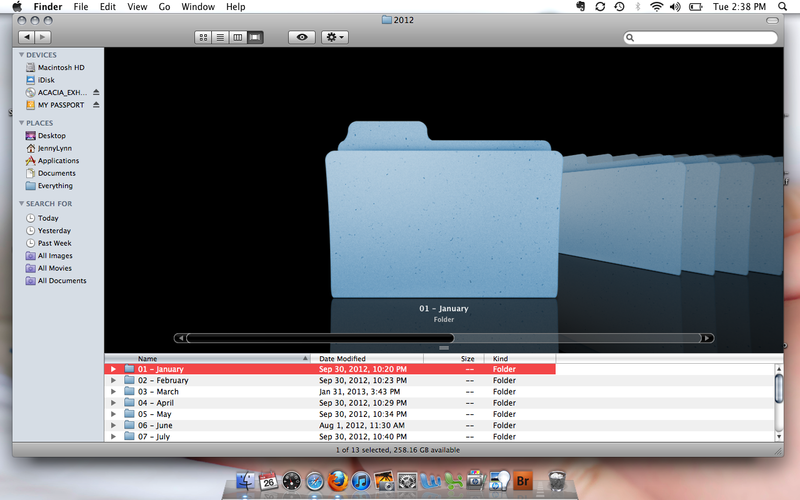 Yearly Folders - The yearly folders are what I see when I open my portable hard drive. I only use my portable hard drive for pictures so there is no need for me to have a "Pictures" folder first. But if you are also saving other things on there you could always place your yearly folders within a picture folder to keep them all corralled into one area. 3. Event Specific Folders + General Pictures - Inside of each monthly folder I post all the pictures I took that month. If I have a specific event that takes place during that month, I will add a folder within that month to keep all photos of that event together. 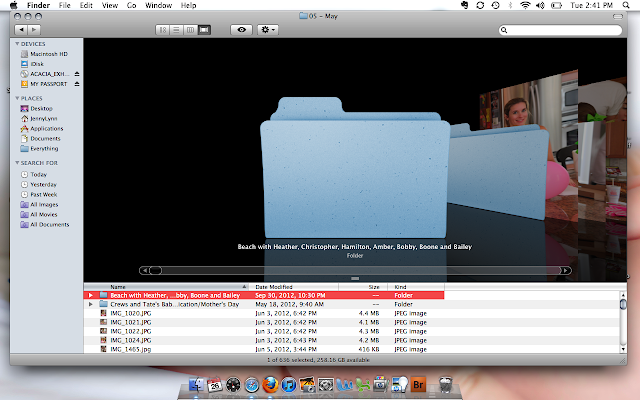 In my example of May 2012, you will see "Beach with..." and a "Crews + Tate's Baby Dedication/Mother's Day" folders. 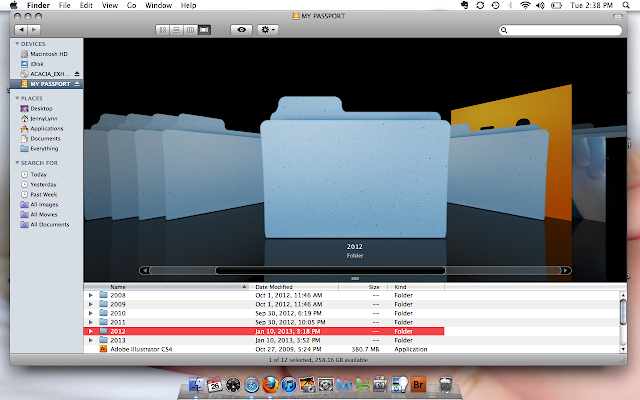 But, after these two folders there are lots of "IMG_XXX" files. These are all of the pictures from May that didn't fall under a specific event, just our day-to-day life (trips to the museum or park, playing outside, visiting with family, etc.). And that's it (regarding the organization piece)! It helps me with finding pictures because I can typically remember the month that we did something. For example, the beach trip. I know that we went in May of 2012. But, ten years from now, even when I don't remember exactly which month, I will at least know to search the May-August folders to find the folder from that trip. Typically if you use the software that comes with your camera to import your images, they are automatically placed in a folder by the date. But, I can't even remember which dates we went to the beach last year. And I know there is no way I will remember that in ten years! So, I don't have to search through potentially 31 folders for the 31 days in May. I just have to look in the May folder! I create a folder for most birthdays, holidays and vacations. For the holidays I will either do one big Christmas folder or I will divide it up (i.e. "Christmas Eve at Nanny's", "Christmas Breakfast at Papa's", etc). It just depends on what seems to make the most sense that year. I've finally gotten a grasp on the easiest way for me to the keep this system rolling. I've realized it is easiest to work with my pictures from the previous month on the first day of each month. So, on Friday, March 1st, I will sit down and work on all of my February pictures. SD cards - I will take all of my SD cards and copy and paste all images from them straight to my "02- February" folder within my 2013 folder. Then I clean off all my cards and start fresh for that month! If I had an event, I will make a folder and move all the corresponding images to that folder (still within February). If you have already taken images from your SD card before the end of the month to blog with or use for something, you should have already created your February folder and added those images there! iPhone - I will also take all of my pictures from my phone. I plug my phone into my computer and import all the pictures into an "event" on iPhoto. Then, I copy and paste them into the February folder as well. You can then go back to iPhoto and delete them so you don't have duplicates. This is a great part of the process because it allows you to clean up your phone so it works faster and with as much as I use my iPhone to capture our lives, I want these pictures to be saved just as I want to keep the pictures from my DSLR. 2. 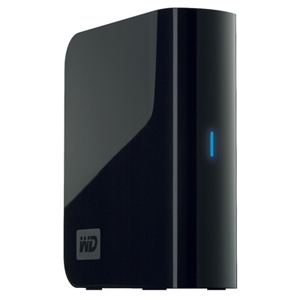 Back up to your external hard drive - It is best to back up your images as soon as you have them all into your monthly folder. My external hard drive stays plugged into my desktop so I typically just plug my portable hard drive in and as soon as I get all of my February pictures added to my folder, I copy and paste the folder over onto the bigger hard drive (there are annual folders set up there as well and I just paste the February folder within my 2013 folder). 3. Upload your images to a photo storage site - I store all of my photos on Shutterfly.com. There are pros and cons to this site. Yes, a back-up to your back-up. You might think it's crazy but what if there is a fire (heaven forbid) and you lose both hard drives? I started out using Shutterfly so it is much easier to continue using it rather than starting over with a new site. And, it is beneficial because I use this site for any photo gifts I order. My pictures are already uploaded so when I start a project, I don't have to spend time uploading photos. I just choose my project and get right to work. The con to this site is that you can't get your images back onto your computer (or hard drive) if you were to lose them. You can have them printed but there is not a way to re-download them to your computer at a high resolution. You can only save a copy from the "save image" option within the right-click feature. It will provide you with a very low-res image that looks grainy and is essentially unusable. I plan to eventually look into loading my pictures onto a different site to back them up. I do think that most sites that offer this type of storage charge an annual fee to keep your images. It's typically not a large amount (based on the number of pictures you are backing up) but I would love to find one that is free! So, that's my system! It may seem like a lot! And it may seem overwhelming if you have no system as of now. My recommendation would be that you start with the month you are in! If you decide that you are only going to start when you have time to go back and reorganize the last five years worth of pictures, you'll never start. So, start with this month! Work on your February pictures and then move forward with your new system! As you have extra time or energy, you can go back and work on a month here and there. Work on it one night while you're watching The Bachelor or Parenthood! It's pretty mindless work once you get your system set up and you'll be surprised by how quickly you can fix a couple of months! I know this may seem like a lot of work. But, I promise, it's worth it. I have often thought about how much time my parents and even grandparents took to preserve memories. They have photo album upon photo album of pictures. It's such a sweet thing to look through them when we're all together. And I want my kids to have that one day! But if we never print or at least organize our photos, we'll never use them like we intend to. I think we all have grand plans when we capture moments. Plans to make photo gifts and frame pictures and make baby books. But we rarely do. And, I believe that the biggest reason for us not following through on our plans is that it is too much work to actually start the project. Finding the images you want to use takes entirely too much time. So, by the time you actually find your photos, you're tired or working on or even thinking about your project and you give up! So, start here. Find a system that works for you and then when you sit down to make a photo book you can spend that time actually making the photo book!